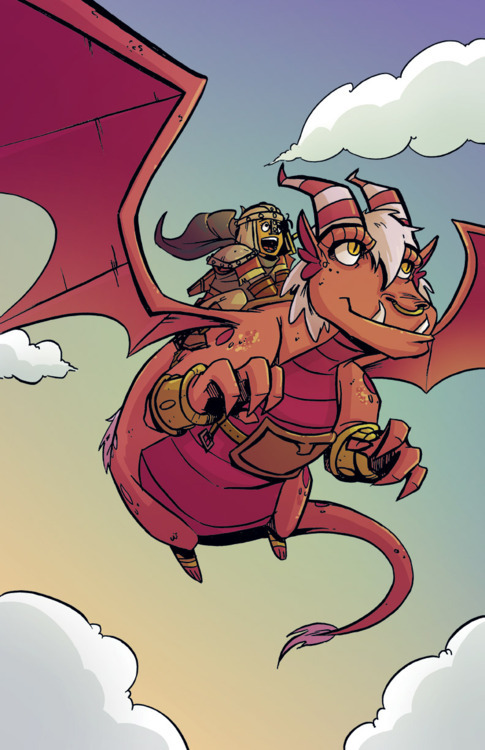 Here’s a different take on the traditional princess vs. dragon story: “Princeless is about Princess Adrienne who lives in a land of fairy-tale castles. When the Princesses reach age 16 they are put in a tower guarded by a fearsome dragon, where they languish until a dashing would-be Prince comes to rescue them. It’s traditional. Apparently knowing which end of a sword to stick in a dragon is a fit test for kingship… Adrienne isn’t pleased with this state of affairs, and after one particularly luckless knight turns up she decides she’s had enough. Chatting late into the night with Sparky (the dragon) they decide to abandon the castle, fake her own death and set off on a quest to save her sisters from their towers.” Fantasy creatures and fantasy tropes show up aplenty in this series, and none of them looked at in the traditional way. 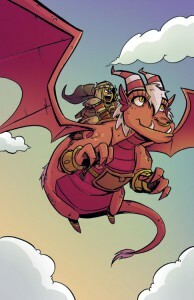 Now Action Lab Comics have released Princeless: Save Yourself, which collects the first story arc of the series (written by Jeremy Whitley and illustrated by M. Goodwin) into one handy full-color trade paperback. Check out their blog.